There are lots of things that Wyatt likes to do... for about 10 minutes at a time. This kid sure has a short attention span, but I assume this is all normal? 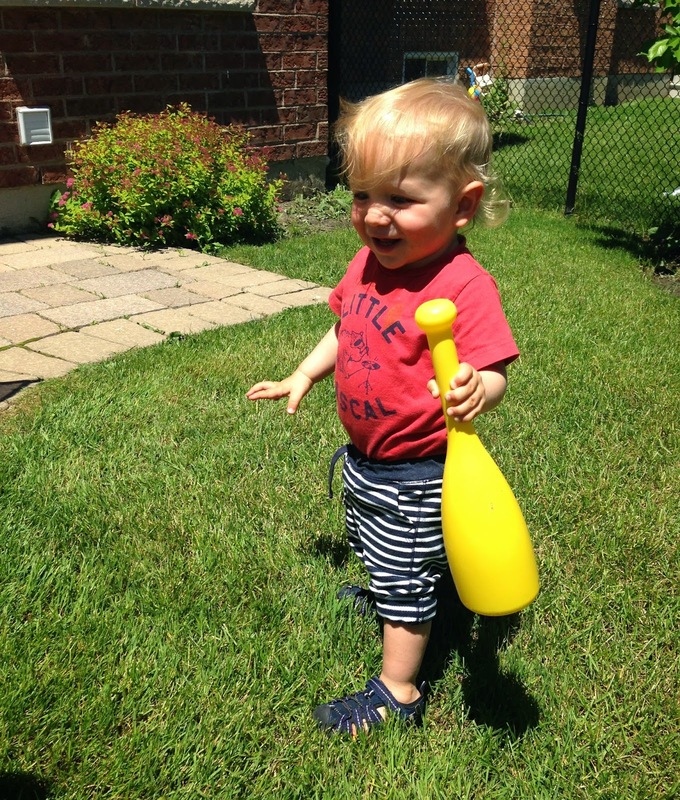 I'm lucky to get the chance to be a stay at home mom, so we can discover lots of new things together. One of his newer loves is fish. Or as he says.... issssshhh!! When we make the trip to go to Vaughan Mills, I always make sure to go through Bass Pro Shops. It's the best free aquarium around. Something Wyatt does many times a day is go through his drawer. 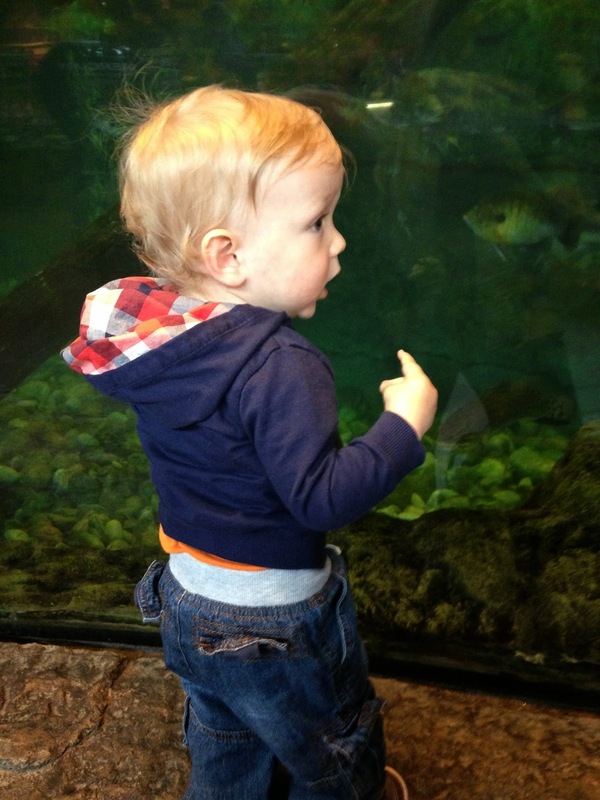 We childproofed all the the other ones he could get to, and left this big bottom one open. 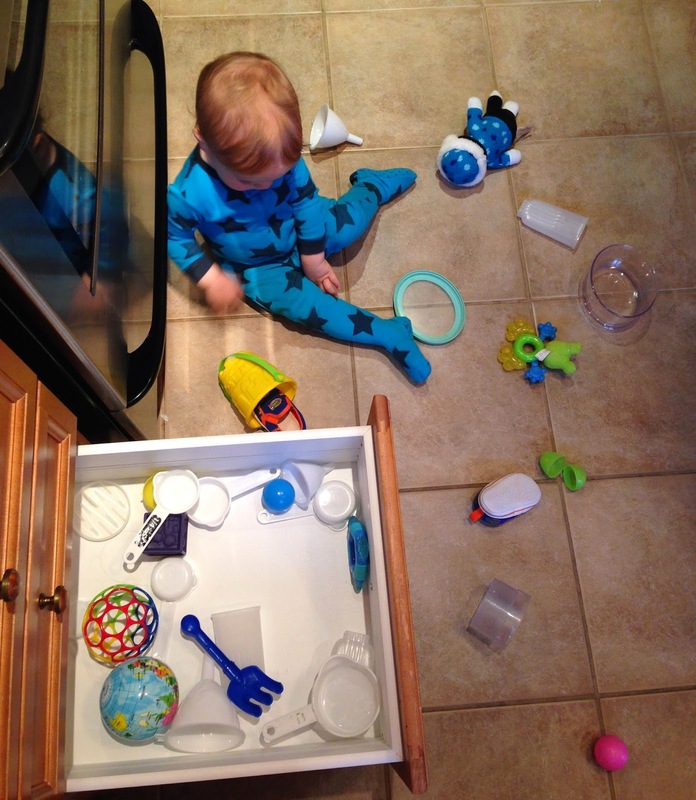 There are a bunch of random things in there, toys and (safe) kitchen tools he has highjacked from us. The kid loves measuring cups! 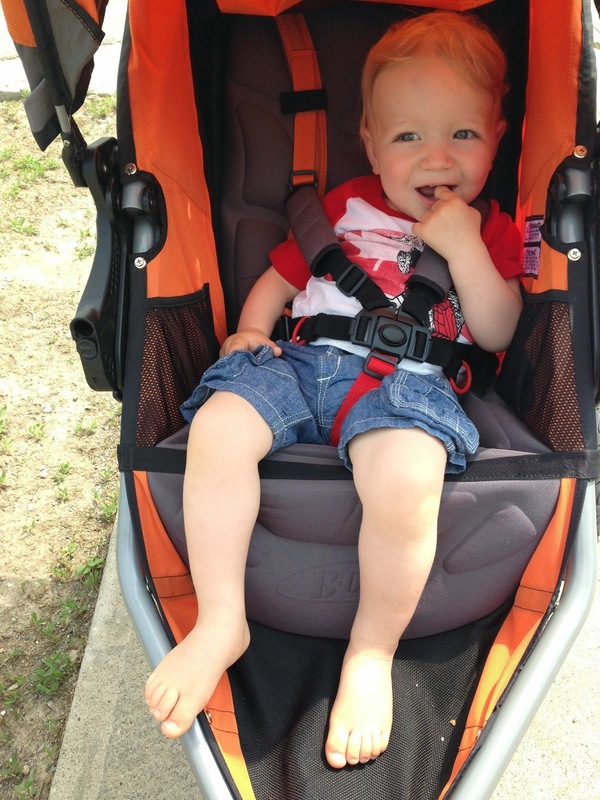 He loves going for walks/runs in the stroller. Yay! He's usually very calm, except for the occasional yell of "BUS!". I try to take our daily walk when the school busses go by so he can have some fun pointing them out. After our almost daily tour of the neighborhood, we hit up the park. We are so lucky to have one only 1 block away! 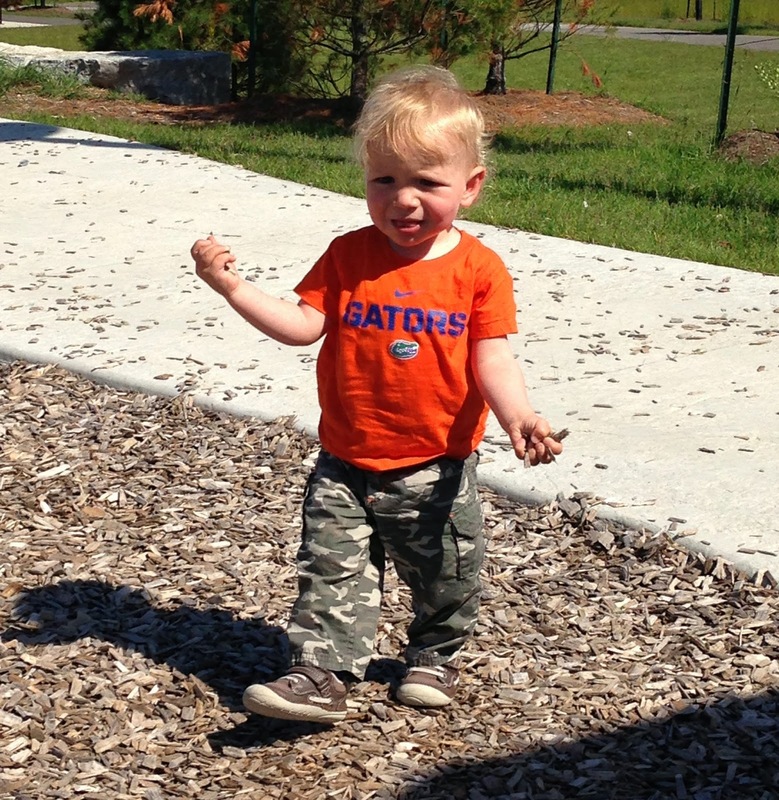 He gets right out of the stroller and starts throwing mulch. I'm pretty sure the park will be missing all of it by the end of the summer. 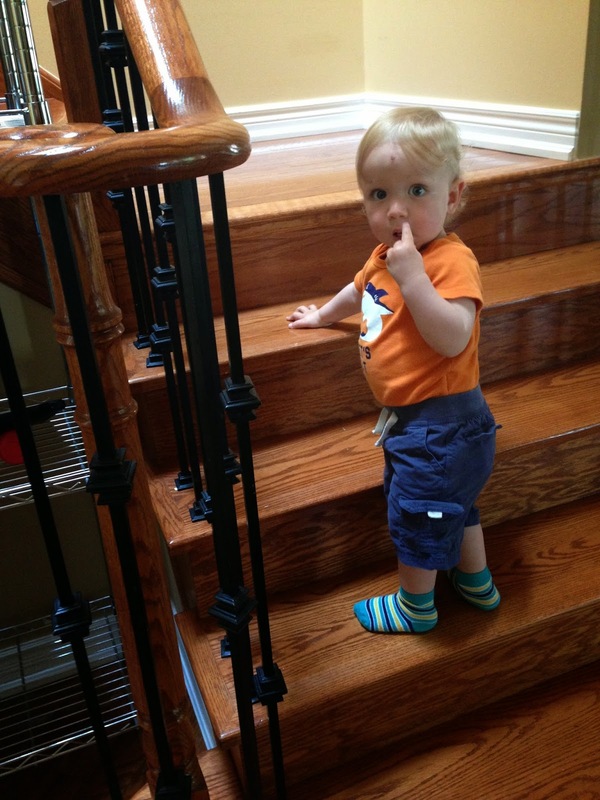 He also started to have a desire to climb stairs. Yikes! We need to get a gate asap. He finally started liking his stuffed animals! One of his faves is Curious George. 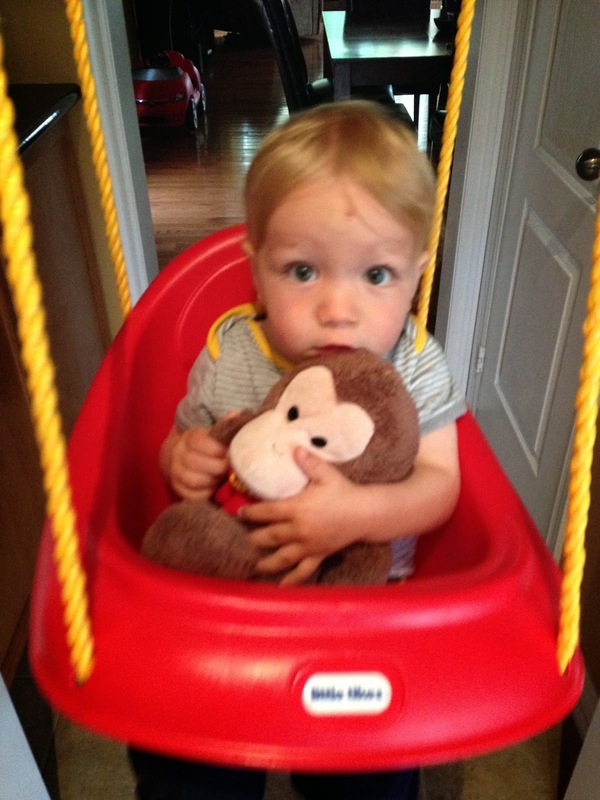 Wyatt loves having his little buddy in the swing with him. 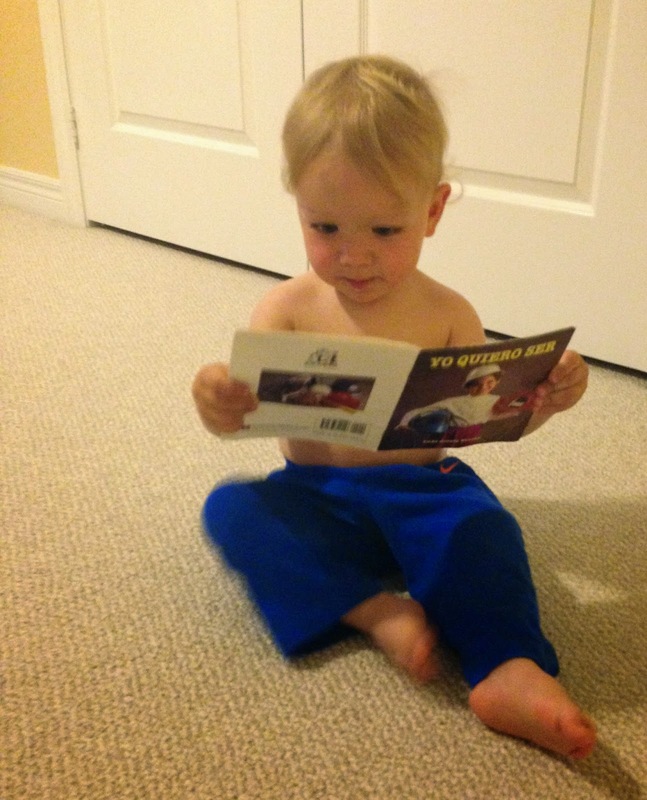 Wyatt loves to read! As you can see is is already reading Spanish, what a genius. He loves to look for birds, "buhds". 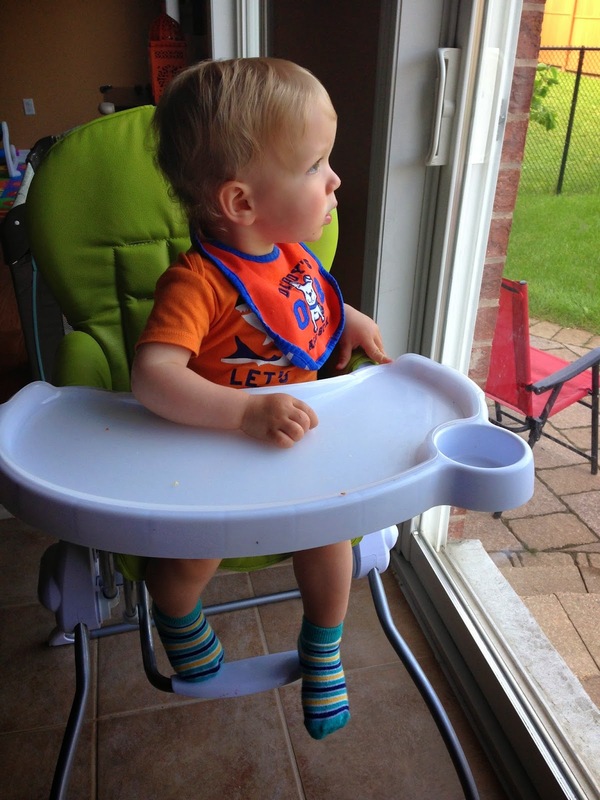 So glad we have a nice area for his high chair that he can stare outside and point them out. 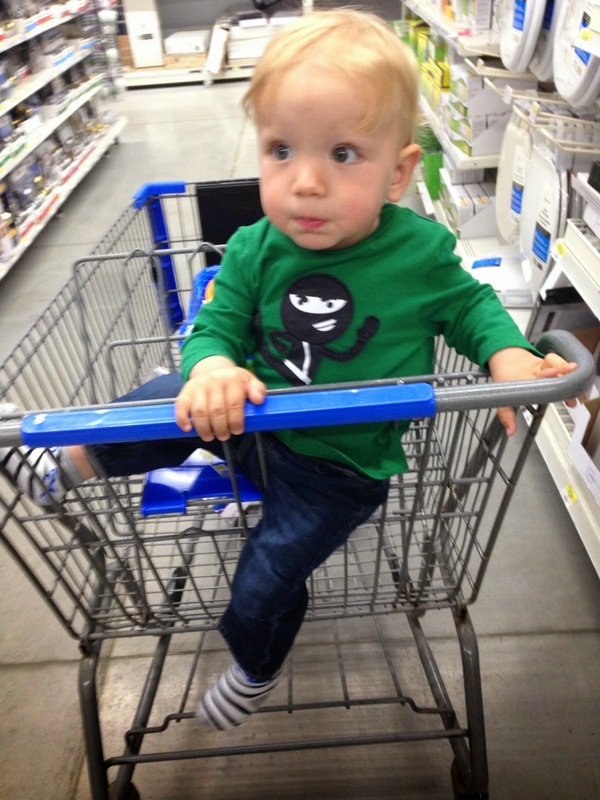 Wyatt loves to be in the shopping cart... as long as its moving. When I stop for too long, the screams begin. I didn't know a person so tiny could be so loud. 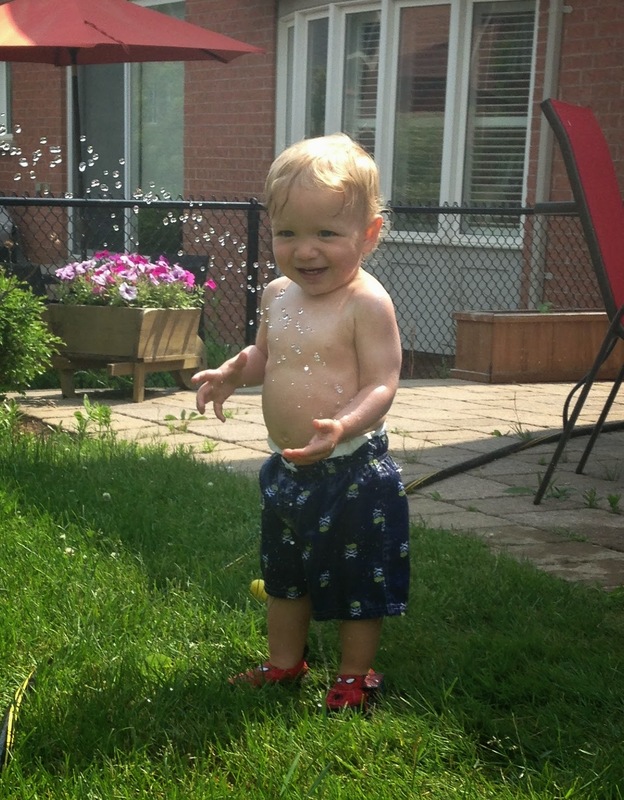 .... and play in the sprinkler.